Bold Bright Blue stream overlay is another departure from the classic monchromatic look found here at Twitch Overlay, and into much more illuminated territory. 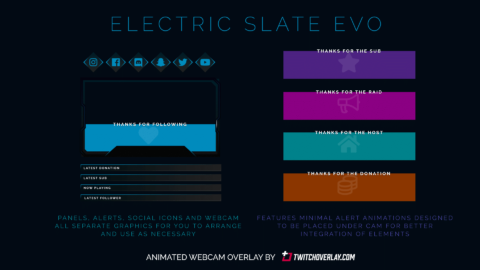 This colourful set of overlay graphics includes webcam frames for both 16:9 and 4:3 ratios, a fully designed chatbox, info panels with a number of different headings, social icons, and for the first time Stream Alerts are included free, as part of the design – so not only fantastic design, but awesome value! 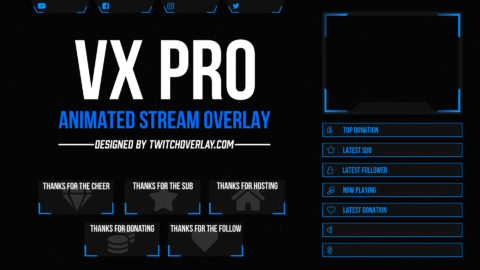 Checkout other, complimentary stream graphics in the Bold Bright family. 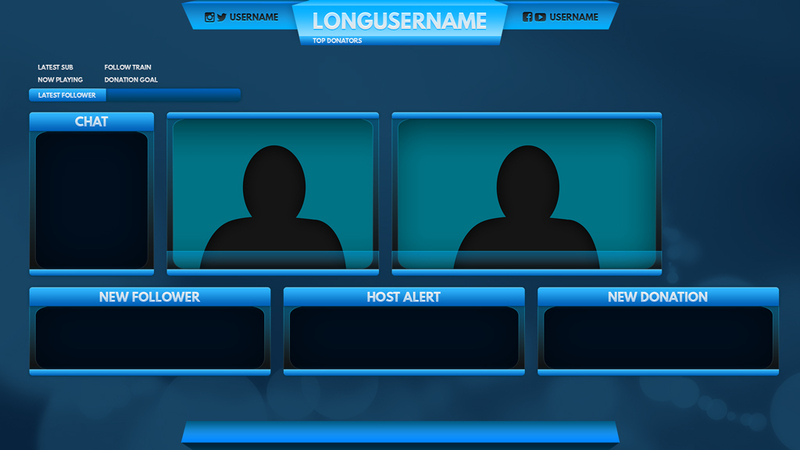 I'll add your Twitch name, and social username(s). Ideal for those without Photoshop knowledge and who want a professional, quality finish. 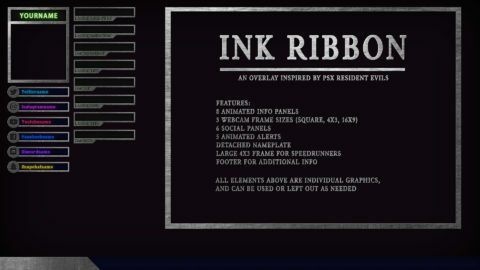 Lay your own text over blank versions of these image files in OBS/xSplit (where there is text above, will instead be empty space).